As if I have so much free time on my hands, I figured I would dip a little into this community of X-Wing mods. 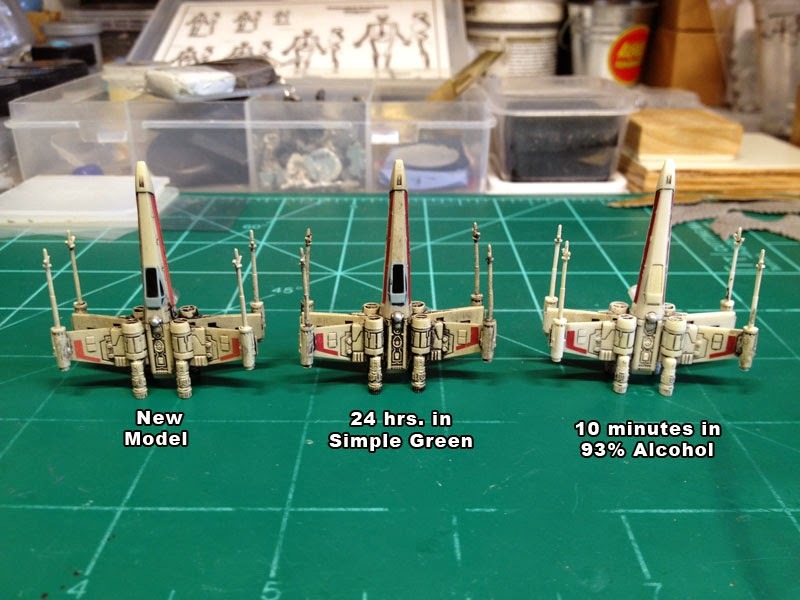 There seems to be a relatively large portion of hobbyists who enjoy converting and/or repainting some of the models from Fantasy Flight's X-Wing Miniatures Game. The first time I ever saw this image was around 1977 when Topps released the 5th series of Star Wars trading cards with the orange border. 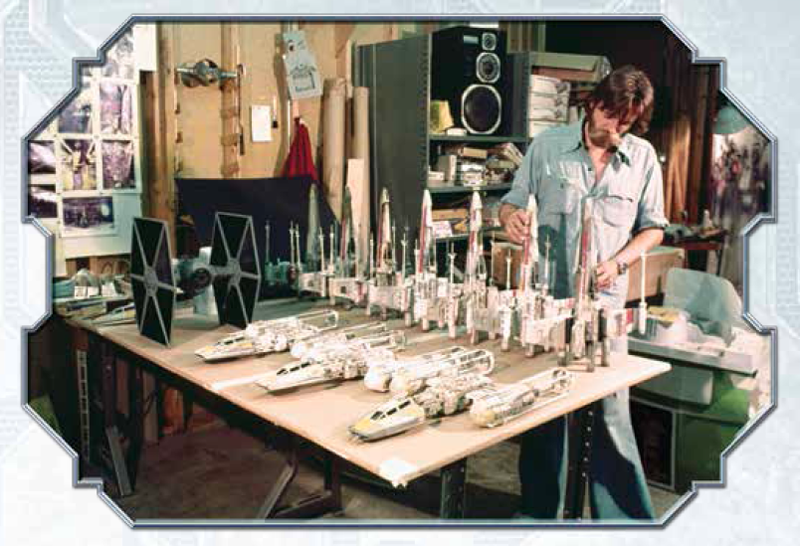 Even at that time I wanted a collection of models painted like the original studio set. I got about as far as 3 of them with the original issued MPC 1:48 scale model kits. It is no secret that the reason I am working as s professional sculptor in the miniatures industry is directly related to seeing Star Wars for the first time when I was 10 years old. Now, 37 years later, I just may be able to complete my project - but in 1:270th scale! I have started by attempting to strip some of the plastic models of their horrendous factory pre-paint. After tooling around the interwebs and heeding some well intended suggestions, it seems like 93% Isopropyl Alcohol is the clear winner, thanks to Mr. Justin of Secret Weapon Miniatures. Although the alcohol hasn't removed ALL of the paint, it has stripped it enough that a fresh coat of primer and color will not obscure the fine details. In a related project I nabbed an extra YT-1300 just to make some "special modifications myself". Never fear, I still have two more in pristine Falcon condition. This is the large pile of plastic bits I started with to kit-out the modified engine module. Most of it is leftover tank parts from Tamiya and GW kits. The white cylinders are plastic tubing from Evergreen and Plastruct domes. Here is the module all blocked out. The next step will be to detail it out with some micro parts using styrene strips and clippings. I still need to make some sort of afterburner insert which may have been easier to do before I assembled all of this. Now that the modified engine module is assembled I dry-fitted it to make sure the silhouette was what I wanted for the ship. The front fork is filled with another length of plastic tubing where I will later attach the original cockpit. Next, detailing out the engine module.